*My review is my personal opinion. I was sent a copy of "Tiger Suit" to review and have been entered to win a gift card through One2One Network for participating. This post may contain affiliate links. 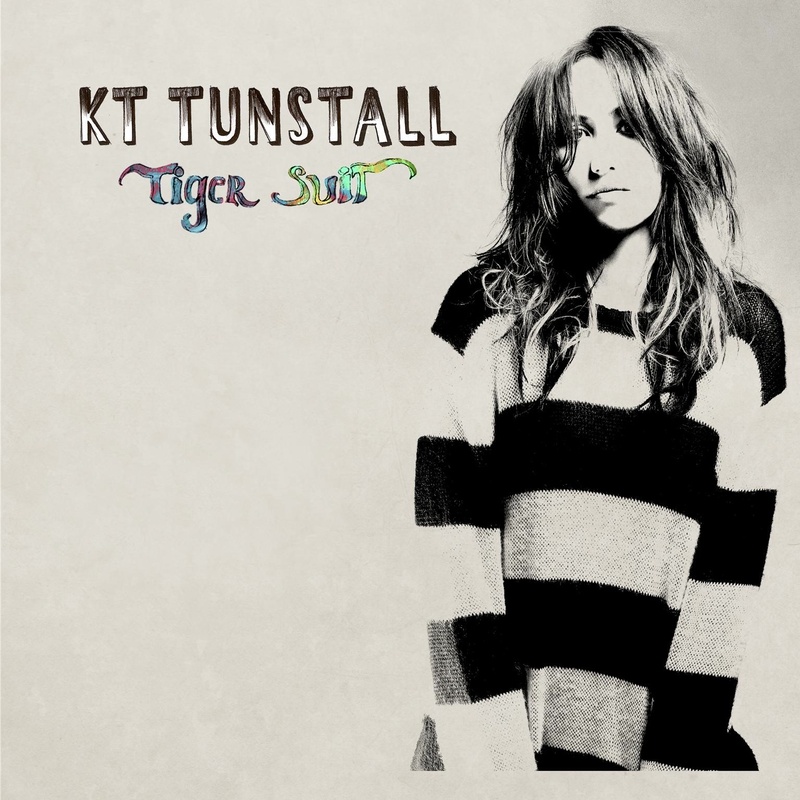 You have no idea how excited I was when I was offered the opportunity to review the newest KT Tunstall album "Tiger Suit." The Scottish-born Grammy-nominated singer-songwriter's first two albums "Eye to the Telescope" and "Drastic Fantastic" have had quite a lot of air time on our stereo so we were eager to add number three to our collection. We lived in the U.K. when KT first came on the scene (before her music ever traversed the Atlantic) and we fell in love with her raw organic sound. When her single "Black Horse and the Cherry Tree" came on the radio, all I heard from a tiny Diva sitting in her car seat was "Noooooooo, no. Noooooooo, no, no, no. Noooooooooo, no. You're not the one for me!" (It was her favorite song for the longest time.) All of this to say that we at Moppins Central have been HUGE KT Tunstall fans for years. This new album does not disappoint. Her sound has evolved a bit as one would expect after having previous studio albums. Ms. Tunstall's natural grainy timbre is still very present but the background music has gotten a little heavier in texture. This has been described as "Nature Techno" by the artist herself. There is still the same poetry and power in her lyrics as there ever was and they all seem as personal as before. This is not to say that her music is too heavy or too hippy or too intellectual; it is just plain good music. I have listened to the record non-stop all day today and am still enjoying it. Once an artist gets past their make-or-break sophomore album successfully, it's just a matter of keeping up the quality and I feel like this album definitely is a quality piece of work. "Tiger Suit" has been released and KT will be touring this fall from 10/31-12/01 and you can preview the album here.